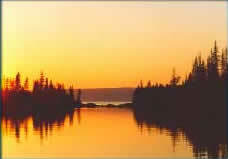 Peterson Bay Lodge and Oyster Camp, an eco-adventure lodge. If you are looking for an unforgettable vacation in Alaska in a pristine natural setting then you have found the right place. Escape, relax, experience nature and breath easy . . . and at your own pace you can hike, kayak, row, fish, clam dig, explore beaches, tide pools and view the remarkable wildlife. Don’t forget to check out the oyster farm! These unguided activities are set up for those that are interested in doing their own thing. No pressure or demands! This is a great place to unwind and retreat during your vacation. Check-in is 3 pm and check out is 11 am. Prices do not include transportation or meals. Design your own custom package! Packages for private parties, weddings, small or large groups and corporate retreats are ideal and welcomed! 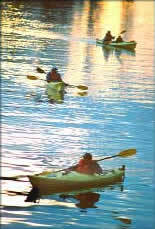 We are happy to accommodate and customize activities for individual/group needs. All prices subject to change without notice. For the adventurous outdoor enthusiast who wants the best that Alaska has to offer! Enjoy a complete and spectacular experience in the wilderness. Walk with and observe the Alaska brown bear in a safe and natural environment. 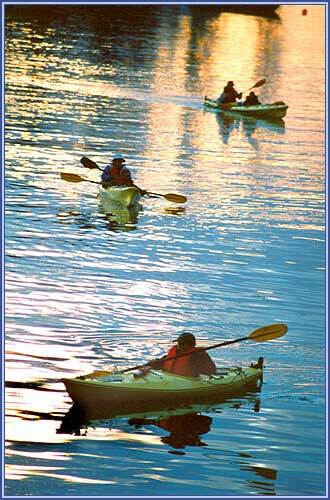 Sea kayaking in a remote and protected northern estuary that is full of marine life and natural wonders. Fishing for the monster pacific halibut is what Kachemak Bay is famous for. Soar above majestic glaciers that are only accessible by air. Learn about the incredible richness of Kachemak Bay on a guided, educational Natural History Tour. 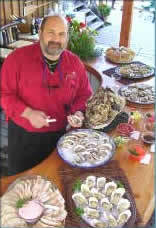 *An Evening reception on day of arrival includes a gourmet sampler of fresh Kachemak Bay Oysters and mussels. Peterson Bay Lodge is set up for guests to utilize the fully equipped lodge kitchen to cook and prepare their own meals. An outdoor gas grill and fire pit is also available for cooking the catch of the day. *Fresh, live Oysters, Blue mussels are available. Reservations: Reserve your space as soon as possible to secure the dates most desired. 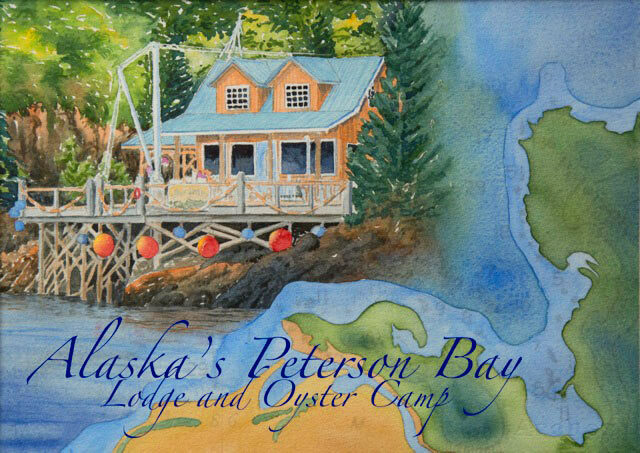 Reservations can be made by email petersonbaylodge@gmail.com or phone 907-399-7156 and will be confirmed upon receipt of the required deposit. Deposit and Cancellation Policy: A 50% deposit is required to confirm your reservations with the balance due 30 days prior to arrival. After we receive your deposit a written confirmation will be mailed to you. We accept checks. Deposit is fully refundable up to 30 days prior to the reserved dates after which time we reserve the option to hold the full amount. Due to the lack of internet service in our remote area during the summer season please call by phone if you need immediate booking information. Or fill out the appropriate information in the form below and we will respond as soon as possible. please call by phone if you need immediate booking information.